More than that, a further 80 to 90% say that they would really like to work remotely at least part time - pointing to a trend that is only going to get more popular as time goes on. Employees who are all able to work from home (or wherever they'd like, really) sounds fantastic... if you're an employee. But what if you're an employer? More than that, what if you're a leader? How do you continue to do your job of bringing people together to benefit the greater good if they're all spread out over a potentially massive geographic area? The "good news" is that the leadership qualities required to steer any organization towards success have not changed, nor are they likely to ever do so. You still need to be an excellent communicator, making sure that everyone is on the same page, that they know what "success" looks like, and that they all still feel like they're contributing to something much more powerful and important than themselves. You still need to be willing to lead by example, never asking someone to do something that you're unwilling to do yourself. You still need to inspire people to give their all not because their paychecks depend on it, but because they just can't help themselves. Things have changed, however. In terms of communication, for example, you need to be willing to adapt your process to rely less on face-to-face interaction and more on the digital resources that you have available to you. Collaborating on a project no longer involves sitting in the same room and hammering out ideas. Now, it'll involve using some cloud-based solution to give everyone editing access to the same files at the same time. This type of thing will require an adjustment from your perspective, but it is one that is undoubtedly worth making. Typical telecommuters tend to be much happier with their jobs than people forced to come into the office every day, which will directly affect both productivity and work quality in a positive way. 73% of telecommuters say that they're more satisfied with their company than they've ever been before. Most of them work more than 40 hours per week. They also tend to work harder to create a friendly, cooperative, and positive work environment - something that you're also trying to do by being the best leader you can be. 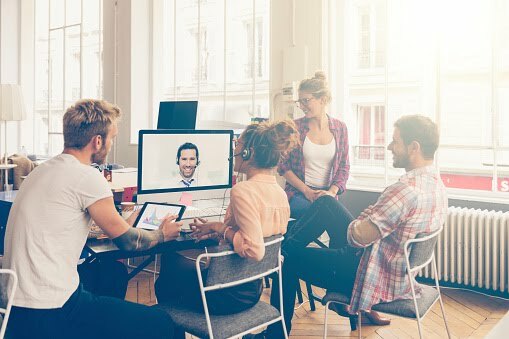 In truth, how you're able to change your management style to keep up with the demands of the modern telecommuting workforce will go a long way towards deciding what type of leader you'll be today, tomorrow, five years from now, and beyond.